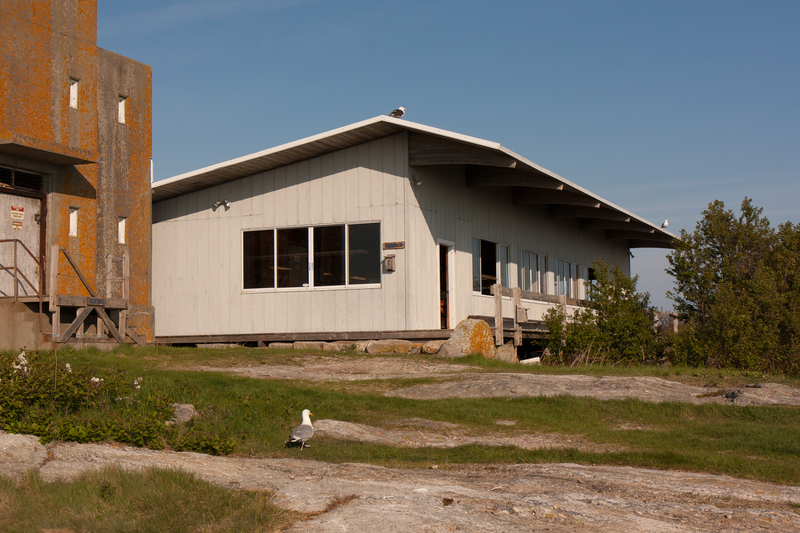 The Shoals Marine Laboratory has research vessels and laboratories used primarily for SML's undergraduate and high school courses. 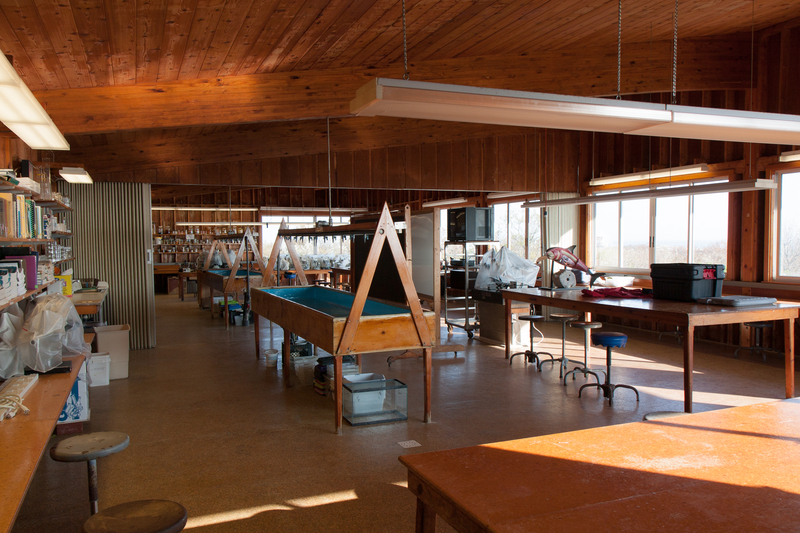 Vessels and laboratories are also available for use by researchers and visiting groups upon request. 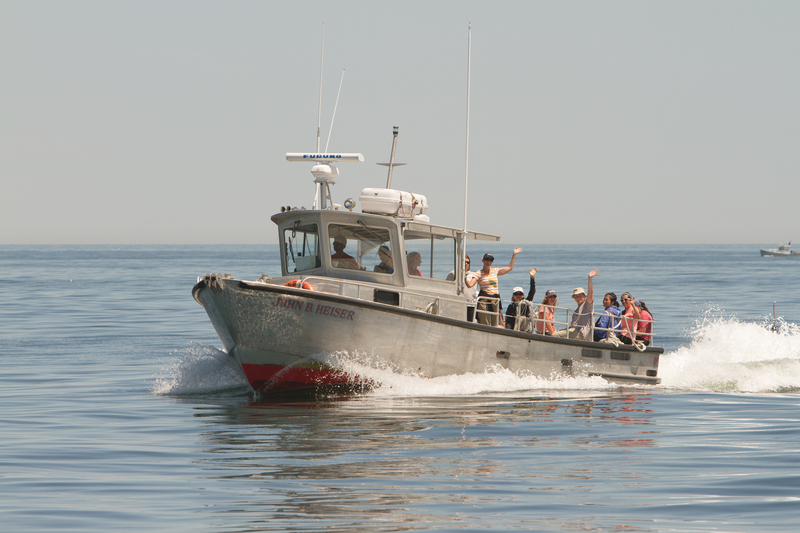 Researchers and visiting group leaders must charter vessels and reserve lab space in advance. Please visit our Fees page for visitor and researcher rates. Construction: Gladding-Hearn Shipbuilding Designer: Woodin & Marean, Inc. 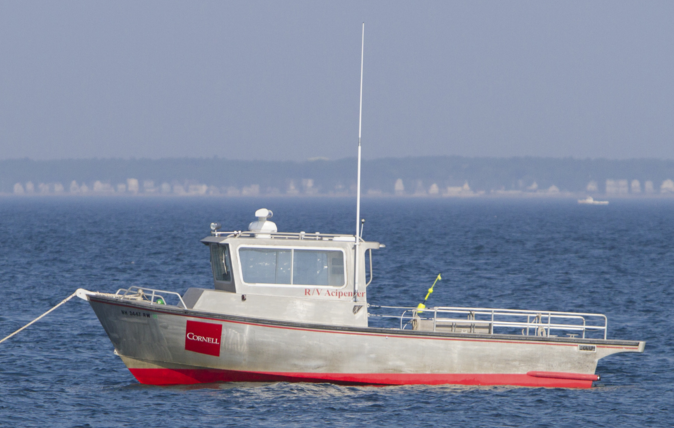 The R/V John M. Kingsbury can hold up to 48 passengers and 2 crew up to 20 miles offshore. Certified as a Coast Guard inspected vessel. 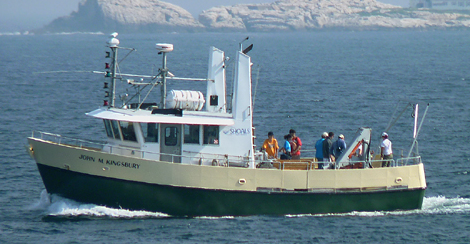 Researchers and Visiting Groups may charter the R/V John M. Kingsbury when the vessel is not engaged in SML program activites during May–September. SML provides certified captain and crew for each charter. The R/V John M. Kingsbury offers a small wet/dry lab in the main cabin, and ample deck space in the aft section of the vessel. A 1-ton hydraulic crane, an A-frame, and winch make the aft deck functional for oceanographic cruises. Four berths are located below deck. 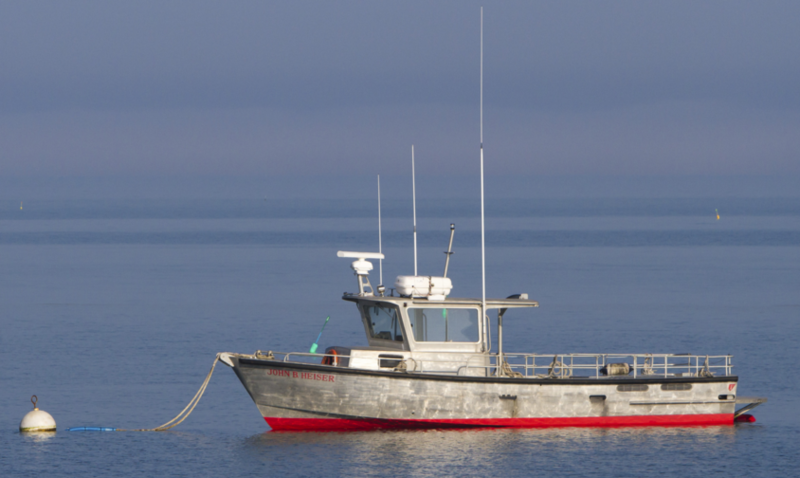 The R/V J.B. Heiser can hold up to 23 passengers and 2 crew up to 100 miles offshore. Certified as a Coast Guard inspected vessel. 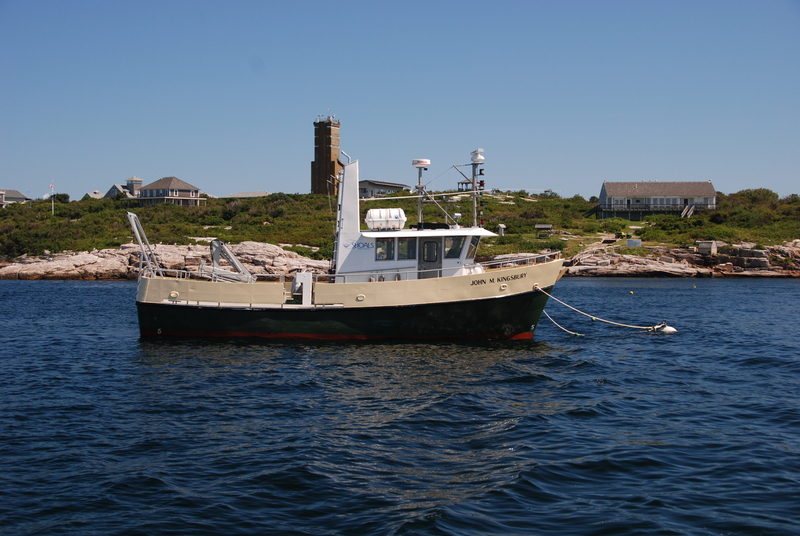 Researchers and Visiting Groups may charter the R/V J.B. Heiser when the vessel is not engaged in SML program activites during May – September. SML provides certified captain and crew for each charter. The R/V J.B. Heiser has a starboard davit for hauling. 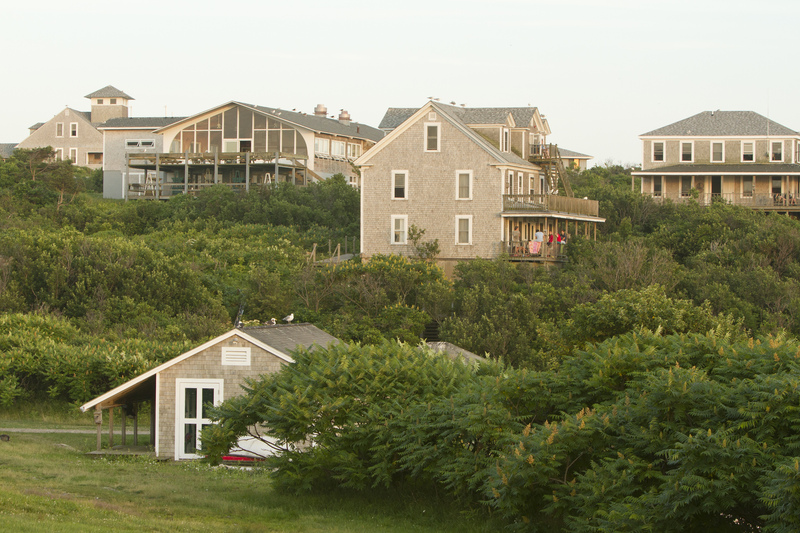 Visit our Sustainable Appledore page to learn about sustainable infrastructure installations and SML's green energy programs. 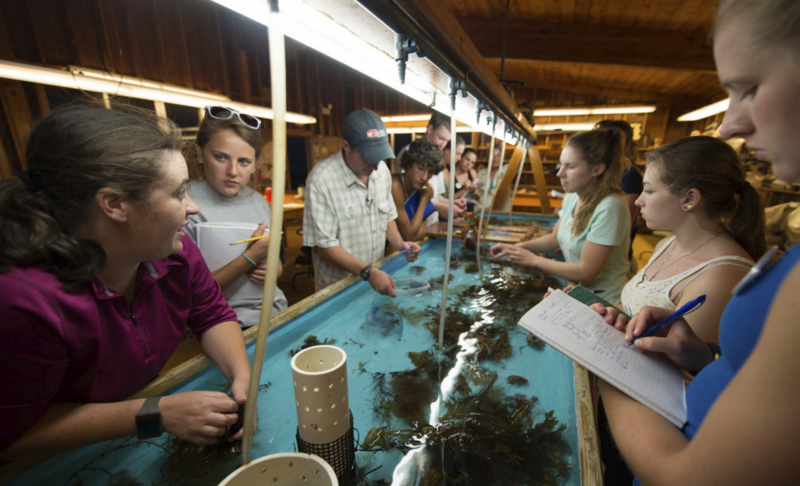 Students gather around the sea table in Palmer-Kinne Lab.